Growing up, Mother’s Day usually marked the beginning of a week of special events since my mother’s birthday was on May 16th. Like most mothers, my mom didn’t need a lot of fuss and fan fare–she usually just liked having us work in the yard together, cleaning up the porch and patio to get them ready for all the fun family parties in the spring and summer weeks to come. One of my mom’s favorite flowers was hot pink geraniums; she loved them scattered about with other beautiful flowers in her yard! 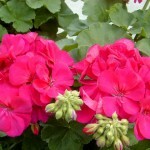 Even after I was married, one of the things I loved doing to help celebrate Mother’s Day and my mom’s birthday was to help her plant big, pink geraniums in her flower beds. 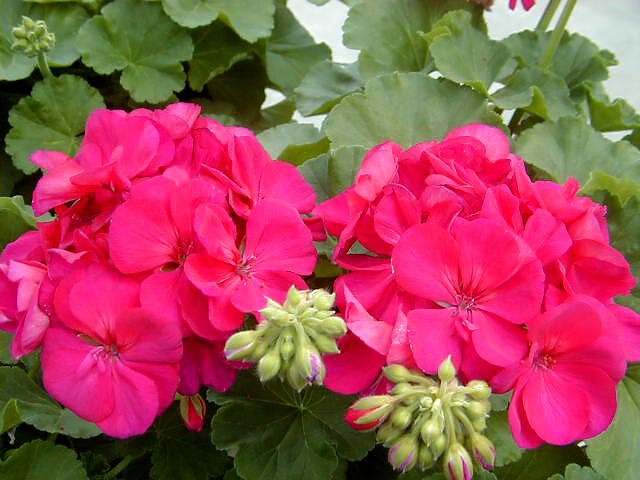 I enjoy planting a variety of geraniums in my yard now, as well as putting some in hanging pots, to remind me of all the good times spent with my mom this time of year! 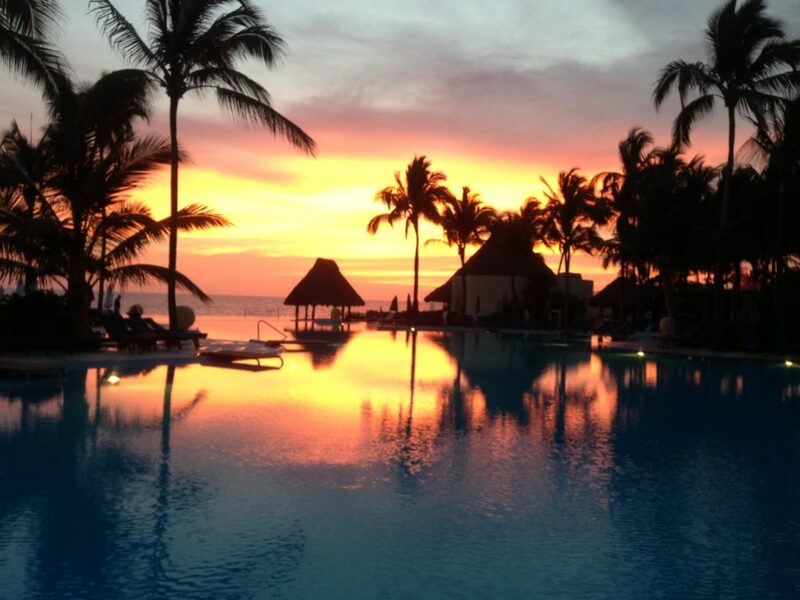 I have been on vacation this week at a wonderful resort in Puerto Vallarta, called the Grand Velas! It’s been a wonderful Mother’s Day week! Amazing morning and evening views that leave you without words to describe the beauty of the Grand Velas in Puerto Vallarta! Important Words To Remember As We Celebrate Mother’s Day! Since I just got back from vacation, and I’ll be telling more about my mom in a few days on her birthday, I thought I’d just share one really neat thing I learned while on vacation that I’m sure will resound in the hearts of all mothers out there! 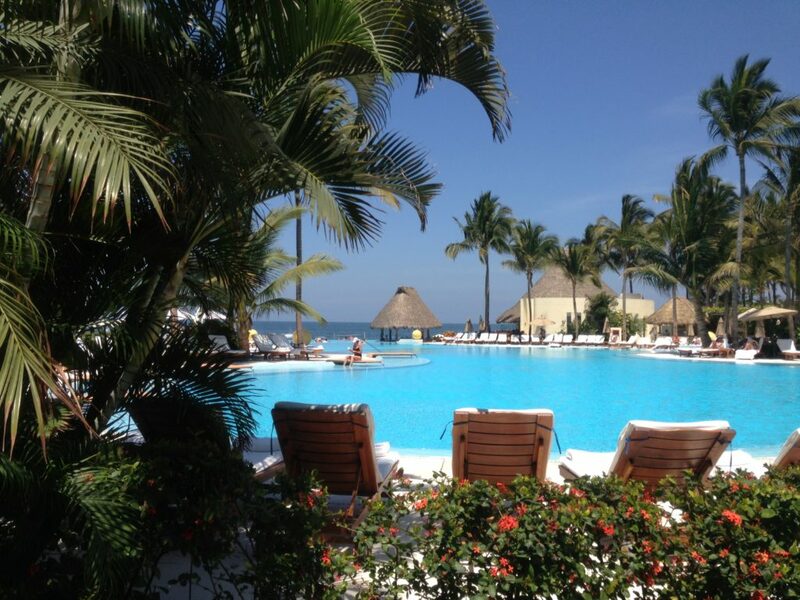 My husband attended some work meetings a few hours a day during part of our time at the Grand Velas. One guest speaker was Don Yeager, a former associate editor of Sports Illustrated. Mr. Yeager recently wrote a wonderful book titled, Greatness: The 16 Characteristics of True Champions! I read this book while enjoying some relaxing time at the resort infinity pools and beautiful white sand beaches. (I know, rough week! Ha!) There are so many inspiring stories and quotes in this book, but one statement really touched my heart and made me think of my cute mom and all her sage advice and how much fun we always had together! I think you might hear your own mother’s voice in these words, since like mine, she probably offered up similar sentiments to you at some point during your life! The two most important words: Thank you! Happy Mother’s Day to all you amazing mothers keeping it real out there; I know that most days we all work hard to be better than we were the day before…and that’s enough!